I know. I'm completely and utterly hateable right now. Well, I hate you too, even though I don't REALLY know you....but I am also very excited for you!!! Have a fabulous trip! Post a picture of your Oprah shoes! 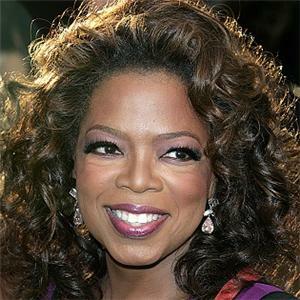 I love that you chose the most magnanimous pic from Google images you could find of....Your Queen Oprah. Have a great time! Make her sing the birthday song to you!!!!!! That is pretty awesome - and I love how you're just up and going! I've been to Chicago a couple of times, you'll have a blast. And I love that you picked out an outfit - my friend and I used to joke about the ladies in the audience all dressed up to go see their Oprah. However, if you are there for "My Favorite Things" I will hate you. I hope more than anything it is My Favorite Thing show. So cool that you are there - can't wait to hear how it all turns out!